Is it Keith who can be heard saying 'Ronnie, Ronnie' 20-22 secs (ish) into 'Gotta Get A Hair Grip'? 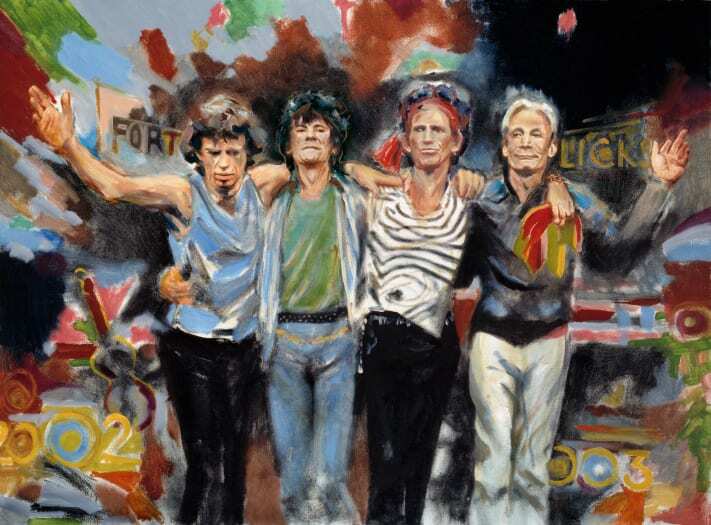 Throughout the band’s career, starting in the early 1960s when a visit Chicago to experience the blues firsthand would become the foundation of their rock and roll, the Stones have brought their world tours to the Windy City. Such is the case for next year’s 14-city No Filter stadium trek, which includes shows on June 21 and 25 at Soldier Field. A. It’s our traveling diary, really. It’s the history of rehearsals and tours going back for about 15 years on canvas. But I had been doing them for years before that. … One of our road crew members came up to me and said Ronnie why don’t you do set lists on canvas because you’re always doing them on paper or cards. He got me canvases and an easel at one rehearsal as a surprise, and I was like OK, let’s go! It was just a natural progression for me. … I’ve been doing art since I was a kid in school. 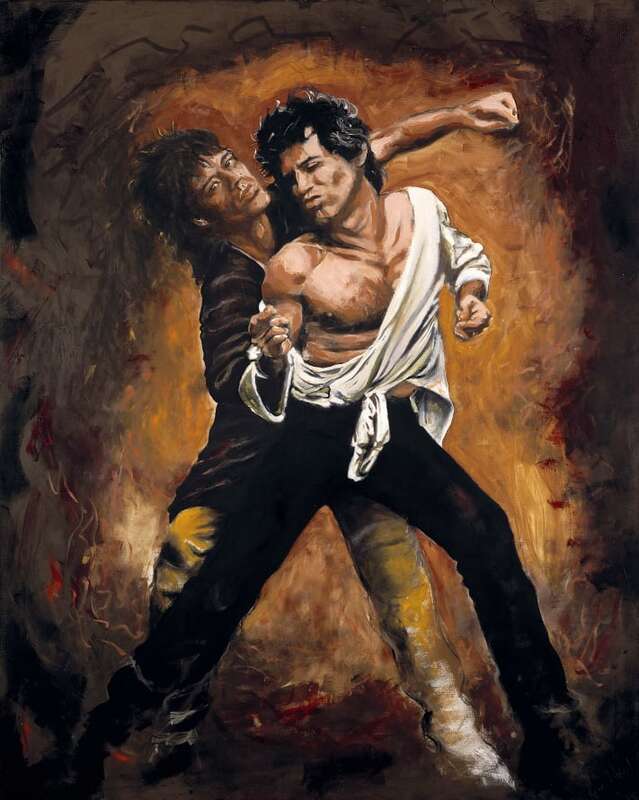 Ronnie Wood's paintings are now the subject of an article by CNN. Within the piece Ronnie discusses how painting is a 'God-given talent' and how alongside his musical career, painting was always a constant for him. 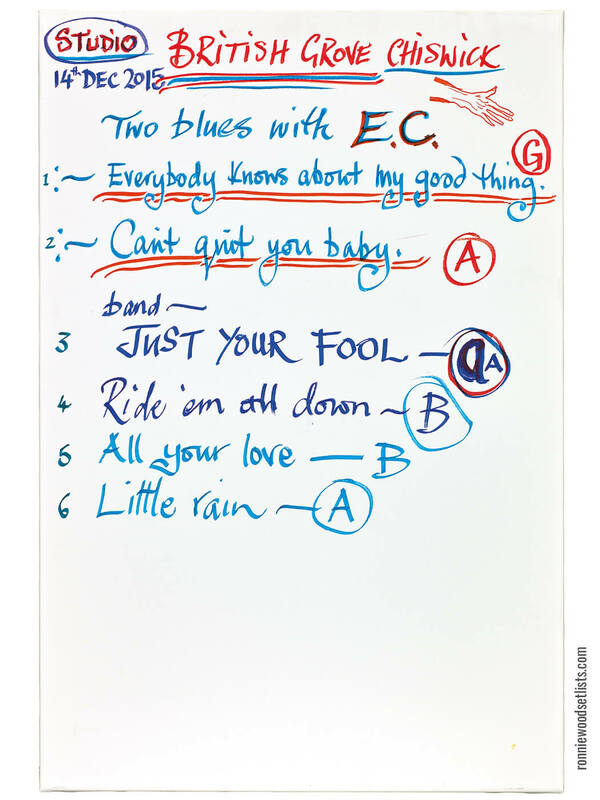 Ronnie Wood's newly published Genesis edition, The Rolling Stones Set Lists, is also reviewed. 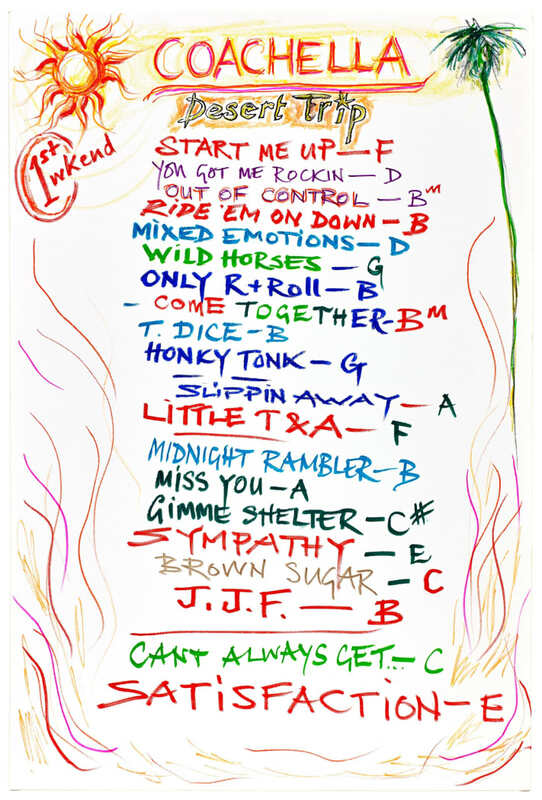 If you're interested in Ronnie Wood's art, copies of both The Rolling Stones Set Lists and Ronnie Wood: Artist are still available. 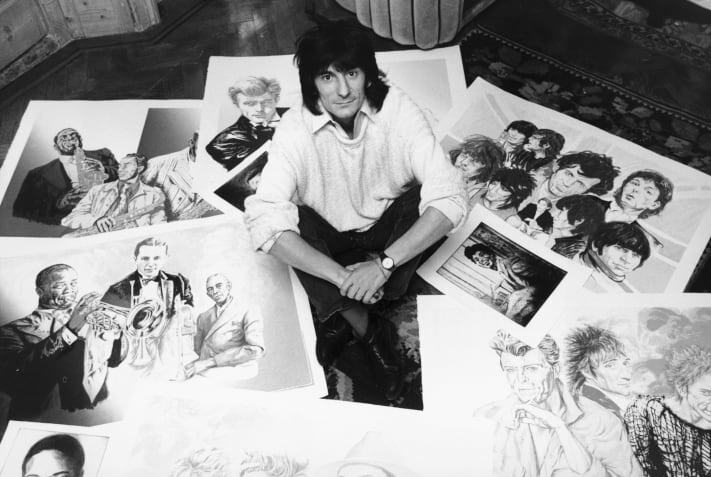 think it's born in me that I'm an artist of the visual kind first," said a reflective Ronnie Wood over the phone in his north London studio. "There's nothing I enjoy doing more today than painting in oils, and that's how I used to paint as a teenager." 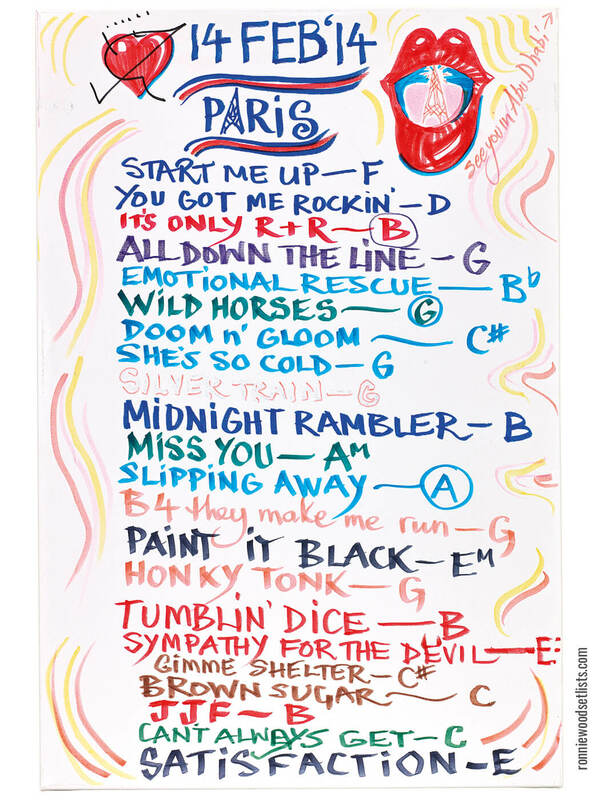 Although recognized primarily for his status as a rock 'n' roll deity, the 71-year-old Rolling Stone has been turning heads with his visual art for even longer than he has with his music. Wood's paintings have been exhibited around the world, and today grace the walls of London's Theatre Royal, Drury Lane, and have been collected by the likes of Bill and Hilary Clinton. "I sold my first two pieces to my music teacher at school for four pounds, and they were abstract pieces," he proudly recalled. This was no small feat for the fledgling Wood -- then still in elementary school -- whose older brothers, Art and Ted, both studied art. It wouldn't be long before he would enjoy his first group exhibition: "There was a man on TV called Adrian Hill, and he had a program called 'Sketch Club.' I won the artist of the week kind of thing a few weeks in a row, and he said, would I come along and have an exhibition of my work and join some of the other children? I was about 12 or 13 when this was going on." 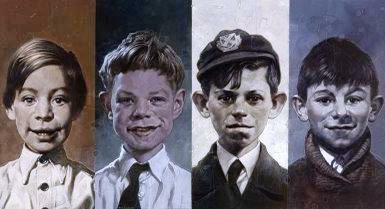 Later he would receive formal art training at the Ealing College of Art in London. On being both a musician and an artist, Wood explained that, "Being a Gemini, I've always flown the two flags. They've gone hand in hand, music and art." 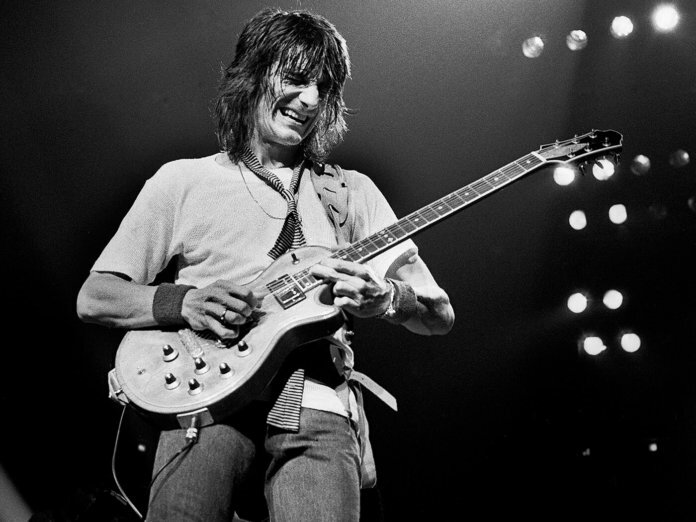 That seemed to be the case for many of his contemporaries: Many of them, including Pete Townshend of The Who, Ray Davies of the Kinks and bandmate Keith Richards were art school students, too. "There was a direct connection (between art school and rock 'n' roll) in that everyone seemed to be in a band or combo of some kind ... Pete was making statements by smashing his instrument; that was a bit expressionist in the art world, you know?" While Wood always earnestly pursued his art on the side after making it big in music, it wasn't until the early '80s that he began exhibiting and selling. "When I'd spent all my money on the good life," he recalled, "I realized that I had to exploit my other God-given talent, and I thought, 'Actually, I can paint! Why don't I earn my bread and butter by selling some of my prints and drawings?' So that's what I started to do when I lived in Los Angeles and I was in New York -- sort of having exhibitions there, as well." Despite his lifelong artistic endeavors and pursuits, establishing himself as an artist in his own right wasn't easy. 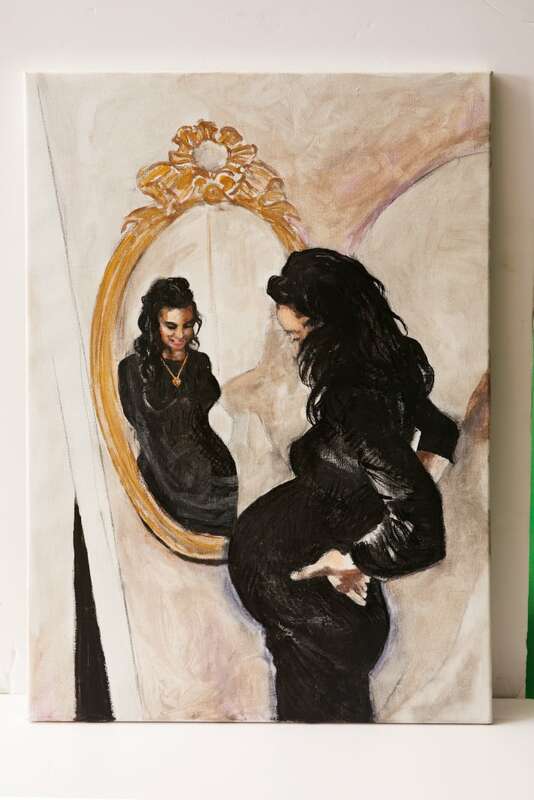 "When I first made an entrance, as it were, into the proper art world ... I had to get my foot in the door by making a statement of drawing people and portraits," he said. And while Wood has been creating art all his life, some critics haven't been able to see past his rock reputation and take him seriously. 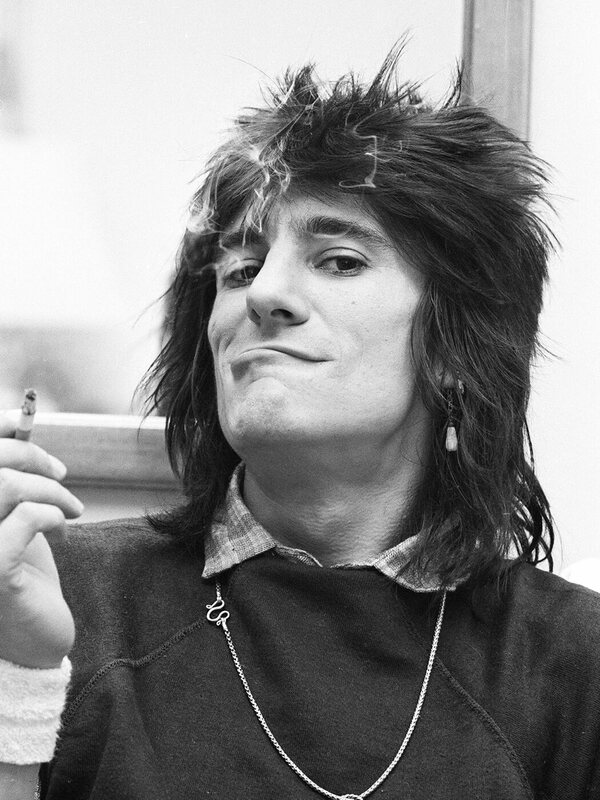 "Some sticklers in the art world have said, 'I don't know who Ronnie Wood thinks he is!' 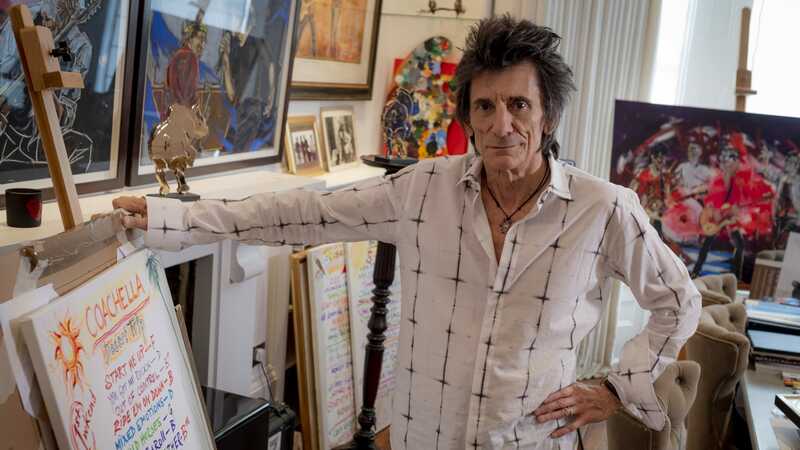 There's a big critic over here ... (who) said, 'Well, as much as I don't like to admit it, Ronnie Wood can actually paint.' You know, because he wanted to really put me down." Wood isn't put off by such remarks, though: "That's what I do: I can paint, you know, I can draw. So, I don't care what they say." 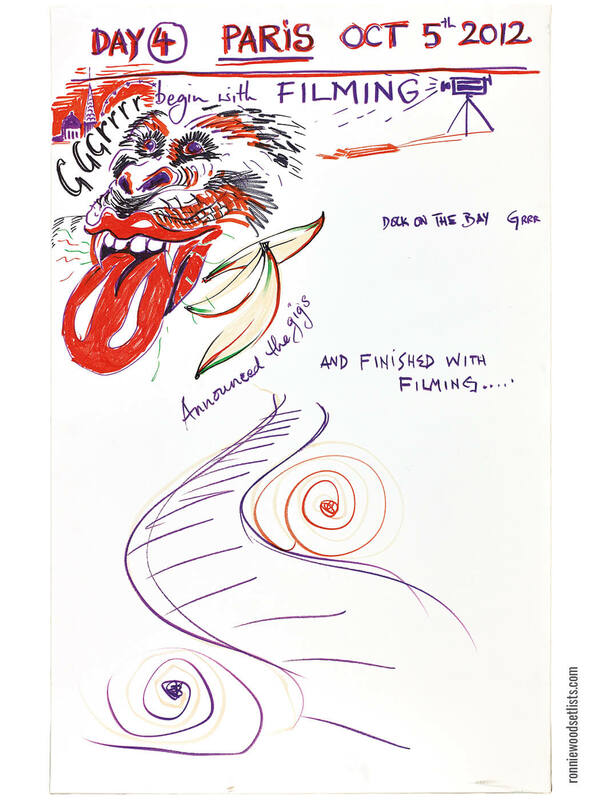 The newly released "Rolling Stones' Set Lists" art book (his second, after 2017's "Ronnie Wood: Artist") pulls together over a hundred of Wood's illustrated versions of the set lists from band rehearsals between 2005 and 2018. With its behind-the-scenes revelations, concert photos and endearing doodles, it has the feel of a diary. "It was a personal thing of mine to, as we rehearsed, make a note of the songs and the keys they were in and how many times we'd played them, just for my own head," Wood explained. "It came from my little lined pad into a sketchbook, and then gradually over the years it became a reality onto canvas." Weird and wonderful, "Set Lists" is welcome addition to the artist's eclectic oeuvre. But it will far from the last of Wood's art books -- if he can help it. "(Art) is a bit like the Stones: We keep making music and I keep painting. It's an ongoing thing and it's something you never get down. You never kind of say, 'OK, I've done that, I can retire now.' It's always an adventure, you know?" Ronnie was interviewed today on BBC Radio 6 by Matt Everitt. 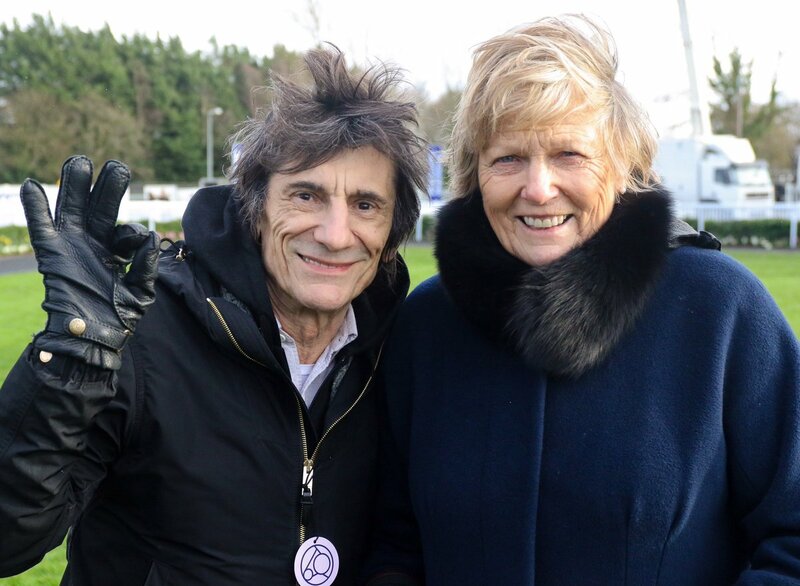 Rolling Stones guitarist Ronnie Wood might have a shot at winning the world’s most grueling steeplechase for the first time with a not so wild horse. Race organizers hope Wood can attend the 4½-mile (6,400-meter) race near Liverpool in northwest England because the Rolling Stones don’t begin their tour of the United States until April 20. 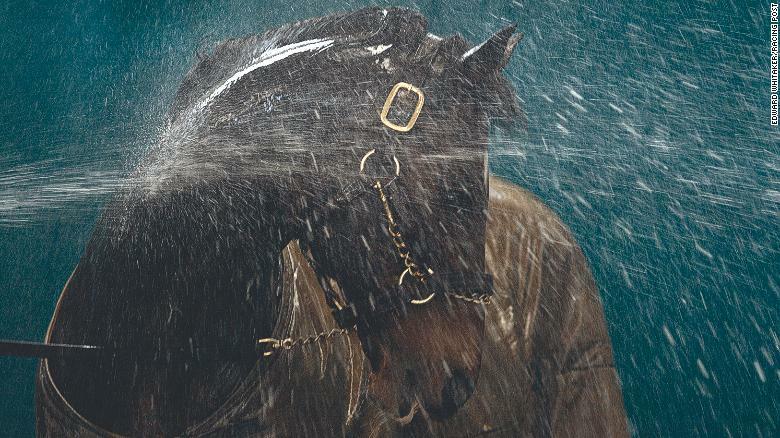 The Grand National winner earns £500,000 $655,000). 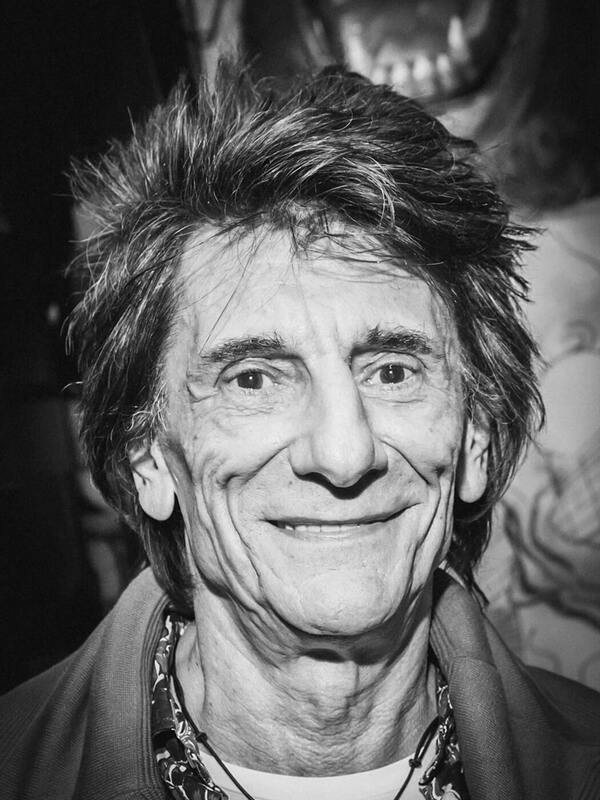 (CNN) — "Wild Horses" couldn't keep Rolling Stones guitarist Ronnie Wood from entering his Sandymount Duke in this year's Grand National. No mere "Beast of Burden," Wood's horse has won 10 of its 30 races and is a 66-1 shot for the famous jump racing showpiece at Aintree, near Liverpool, in Britain's north west. The 10-year-old, bred by Wood's team and stabled with Cheltenham Gold Cup-winning trainer Jessica Harrington in Ireland, is one of a number of entries owned by celebrities for this year's race. Former Manchester United manager Sir Alex Ferguson, a part owner of last month's King George VI Chase winner Clan Des Obeaux, has a share in Give Me A Copper. Rock 'n' roll legend Wood, 71, has had a long involvement in racing but has yet to enter a runner in the Grand National, a dramatic four-and-a-half-mile marathon over huge jumps such as Becher's Brook, Valentine's and The Chair. Man it must be nice to paint the word "Satisfaction" in color 200 times and get paid thousands for doing it. 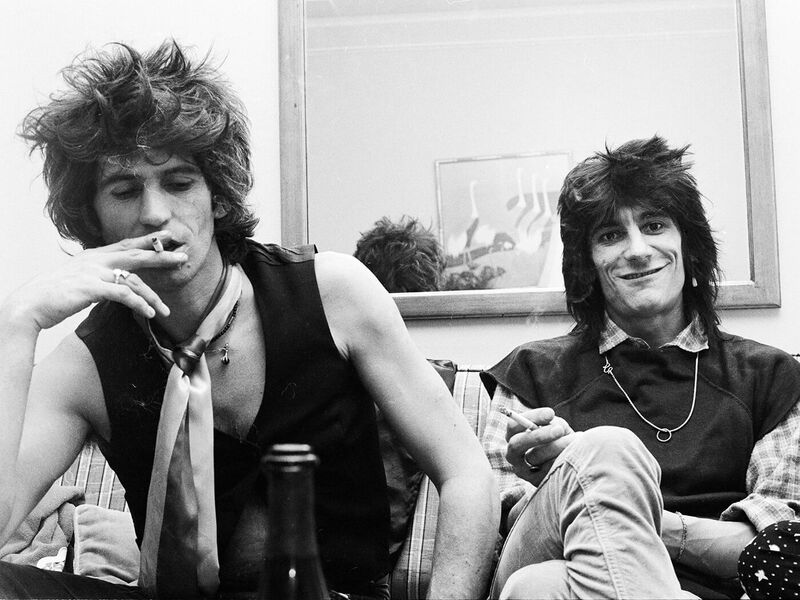 Octopus imprint Cassell Illustrated has acquired an intimate portrait of the Rolling Stones by Jo Wood, wife of guitarist Ronnie, featuring 500 never-before-seen photos, notes and diary entries. Senior commissioning editor Joe Cottington acquired world rights in all languages from Kevin Pocklington at the North Literary Agency. 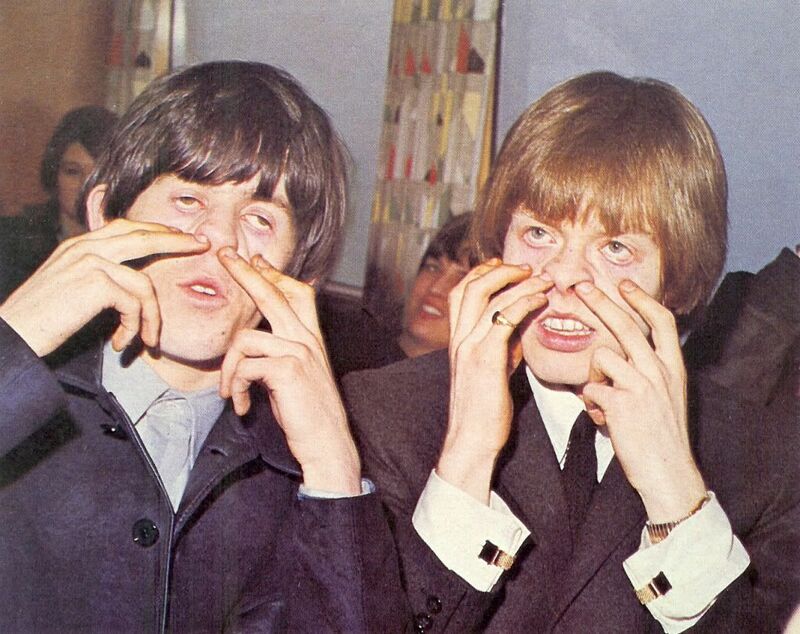 Stoned: Photographs and treasures from life with the Rolling Stones is published on 5th September. The synopsis reads: "Married to the Stones' legendary guitarist Ronnie for 30 years, Jo Wood lived the rock star life – from all-night parties, sell-out shows and recording sessions to relaxing with the band on holiday, at home and away from it all. Her incredible collection of treasures from this time is a once-in-a-lifetime look behind the scenes of the biggest band in the world, showing the real people underneath the rock star personas." Cottington said: "I’m so excited to be publishing Jo’s incredible book. Her collection really has to be seen to be believed – it’s the hidden face of the Rolling Stones, a look inside the crossfire hurricane." Wood explained: "These pictures are real and were never taken with a book in mind. They show the band off guard, without having to worry that it was another photo shoot. It’s about real life, on the road with a bunch of guys who happened to be in a fantastic band, all too often in the public gaze but more importantly away from it as well. The book is a celebration of my family and friends, a thank you to my past, and a look into a rock and roll moment in time."